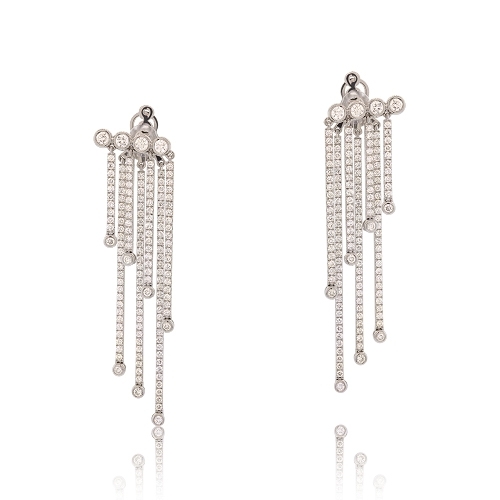 Unique diamond earrings composed of moving links of diamonds with delicate bezels set in 18k white gold. Diamonds approx. 4.00ct. Earrings 2.5"